Vientiane is the capital and largest city of Laos where is on a branch of the Mekong River, at which point it forms the border with Thailand. The distance from Hanoi to Vientiane is about 800 km which takes you about 23 hours riding with amazing moutain view on it's way. - Visit a lot of highlights in Vientiane such as: Pha That Luang, Haw Phra Kaew, former temple, now museum and small shops, Laos National Museum, Talat Sao Morning market, Wat Ong Teu Mahawihan which are attracttive all travellers on the world. - Taking only transportation to Vientiane is a good way for you to do those things by yourself with more freedom. We offer 1 way bus which is everyday departure. 17.00: Our guide and car pick you up at the hotel in the Hanoi Old Quarter then takes 40 minutes to Nuoc Ngam bus station. 17.40: At Nuoc Ngam bus station , get on 35 sleeping bus to Cau Treo border. On the way we have several times for meals and toilet. 3.00: Arrived Cau Treo border, stay on bus until to 7.00 am, check visa to Lao, get on bus to Dong Dok bus station (last stop). Included: English speaking guide, taxi to Nuoc Ngam bus station, bus ticket to Vientiane. Hanoi Old Quarter – Nuoc Ngam bus staion – Thanh Hoa City (shortbreak) – Vinh city – Ha Tinh city - Cau Treo Border (short break) - Theng pheng (short break) – Dong Dok bus station (last stop). Note: Getting to Vientiane you should have visa and do not forget the passport before getting on the bus. - The immigration at border stops working at 5 pm, at the Cau Treo has many hotels, if you late time, you can easy to find hotel to wait the next day. - If you only go to border to get visa then back Hanoi, the price is the same as from Hanoi to Vientiane. 17.00: Our guide and car pick you up at the Dongdook bus station in the centre of Vientiane city, i will give you phone number and bus number. 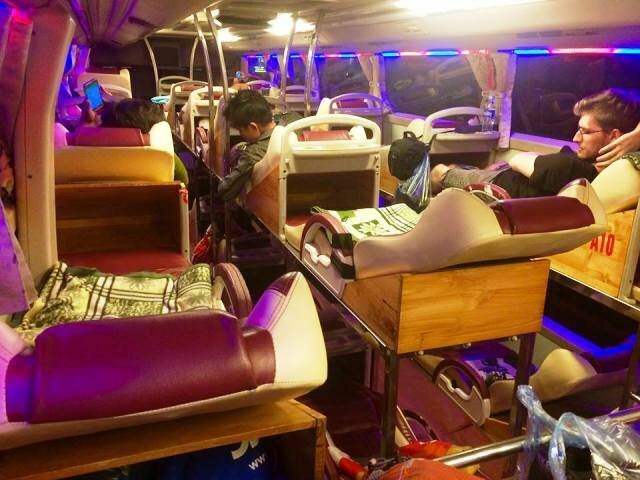 17.40: At Dong Dok bus station, get on sleeping bus to Cau Treo border. On the way we have 2 times break for meals and toilet. 3.00: Arrive at Cau Treo border, plesase wait until to 7.00 am, check visa to Viet Nam, get on bus to Nuoc Ngam bus station (last stop). 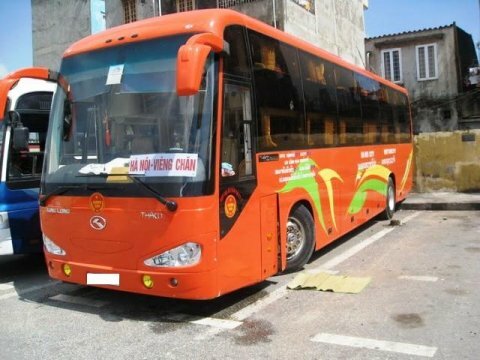 Included: Bus ticket from Vientiane to Hanoi. 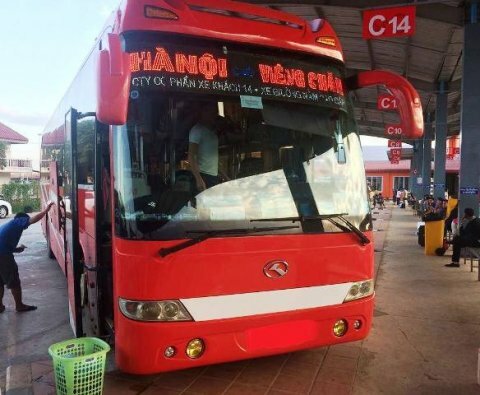 Dong Dok bus staion – Theng pheng (short break) – Cau Treo Border (short break) – Ha Tinh city – Vinh city - Thanh Hoa (short break) – Nuoc Ngam bus station (last stop). - You should carry valuable things, especially your passport needs to be always with you. Incase your bags are picked up by other people by chance or by purpose. - Remembering plate number of the bus is always good incase, you foget something on bus, we can find it quick & easy for you. - Before leaving the bus, you should check your belongings again and again incase, it is picked up by othe passangers on bus before we find out.